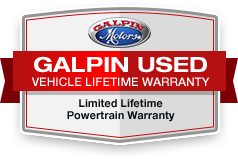 : 6-year/100,000-mile Premium Limited Warranty, 165-Point Inspection and Reconditioning, 24/7 Roadside Assistance, Vehicle History Report, NO Deductible, Balance of original 4-year/50,000-mile warranty FUEL EFFICIENT 29 MPG Hwy/20 MPG City! CARFAX 1-Owner, Excellent Condition, Jaguar Certified, ONLY 118 Miles! 35t Premium trim. Sunroof, Onboard Communications System, iPod/MP3 Input, Dual Zone A/C, Remote Engine Start, Back-Up Camera, Alloy Wheels, Premium Sound System, Supercharged KEY FEATURES INCLUDE: Sunroof, Back-Up Camera, Supercharged, Premium Sound System, iPod/MP3 Input, Onboard Communications System, Aluminum Wheels, Remote Engine Start, Dual Zone A/C. MP3 Player, Remote Trunk Release, Keyless Entry, Child Safety Locks, Steering Wheel Controls. Jaguar 35t Premium with Italian Racing Red Metallic exterior and Light Oyster interior features a V6 Cylinder Engine with 340 HP at 6500 RPM*. Serviced here, Non-Smoker vehicle, PowerLife Limited Lifetime Warranty, Unregistered Dealer Demo. EXPERTS ARE SAYING: Edmunds.com explains Top-quality materials and finishes extend throughout the interior, as befits a Car in this class. Cabin space is also on par, offering taller rear seat passengers a little more headroom than the Audi A6, for example, all while maintaining the XF's sleek, Low-roof look.. Great Gas Mileage: 29 MPG Hwy. BUY FROM AN AWARD WINNING DEALER: One of the largest luxury dealer groups in the world. Our purchasing power and large inventories help ensure great deals. Large children's play area. Complimentary work stations and wifi. *All figures are EPA estimates. Actual mileage will vary. Kelly Blue Book values are calculated based on the current Retail Book. Horsepower calculations based on trim engine configuration. Fuel economy calculations based on original manufacturer data for trim engine configuration. Please confirm the accuracy of the included equipment by calling us prior to purchase.